Spring hinges are self-closing hinges. A spring mechanism in the barrel allows the hinges to automatically close a door. With field-adjustable closing power, the spring hinge line consists of standard commercial grade door hinges. Stanley spring hinges are ideal for wood and metal doors, medium to heavy weight doors and low to medium frequency usage applications. In addition, steel and stainless steel hinges are available for interior applications. 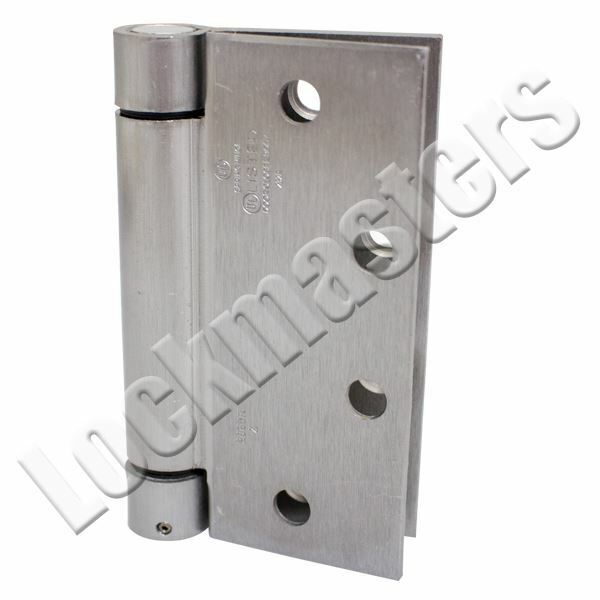 Spring hinges are approved for use on fire-rated doors.